With Rolling Fairways, undulating greens, water in play on over half of the holes, natural areas on and around the course and a river flowing through the property, this 2,640 yard Par 35 River Course is a very challenging experience for the average golfer. A beautiful par 3 course with water, trees, & a couple hilltop vistas coming into play to spice up your round. This is a great place for kids and beginners to learn the game. Also a great place for the more accomplished player to hone their short game skills. This 3-hole course became the prototype for hundreds that followed. Heart of America is now the home of The First Tee of Greater Kansas City. Our goal is to teach young people to play golf and life with skill, determination and fairness. Come play on Kansas City's first FootGolf course! Heart of America is proud to offer a FootGolf course, layed out on our Par 3 Rock Course. 18 holes of FootGolf will test your soccer and golf skill and keep you entertained, no matter what your age! Bring a soccer ball or rent one from us and come on out! No experience required, all ages welcome! Come try out your skills with this Shotgun at dusk! Visit KCcrew.com for more information. 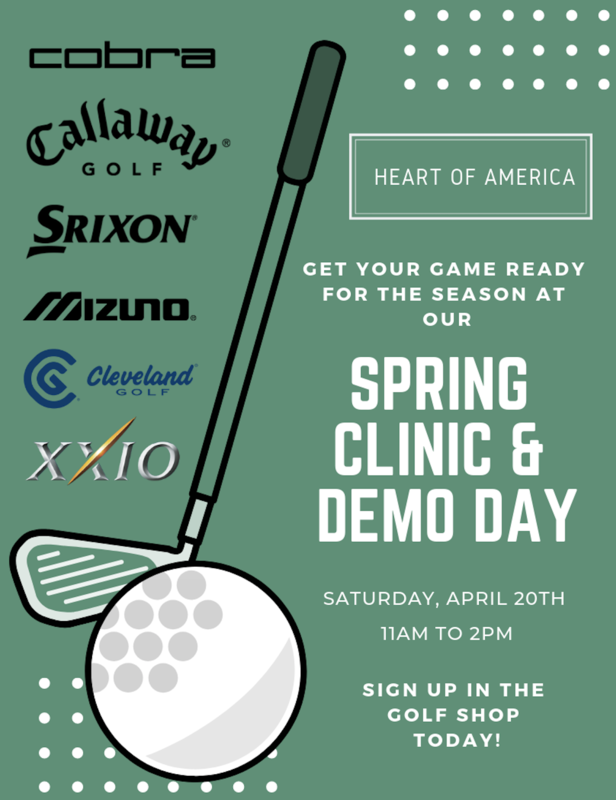 Improve the accuracy of your short game with this clinic from 10 AM - 12 PM. What better way to kick off the Couples League than with a wine & cheese tasting to follow gameplay. Tee times at 2 PM.